Coconut oil is the most popularly used product in my house – it really defines the term multi-purpose. I prepare everything with it from banana cake, to stir-fry veges, to roast chicken, to scrambled eggs, to salmon. I also use it daily to remove my eye makeup, as a body moisturiser and even for brushing my teeth! Quality is of utmost importance – go for organic unrefined, virgin coconut oil. There are many companies selling hydrogenated coconut oil where heat and solvent chemicals like aluminum and nickel are used to harden the oil. YUCK! This process also destroys many of its naturally occurring goodies such as vitamin E, carotene and tocotrienols… so it’s totally not worth scrimping on quality. Fortunately the voice of good science is starting to sing its way to those ears that are seeking more honest and sound health advice. Mother nature has spent millions of years perfecting our beautiful natural fats such as the coconut – she doesn’t have it wrong! Be a little weary of any dietary research that has had backing from commercial industry interests – they have manipulated how and what we eat so dramatically that more changes have happened in the last 50 years than in the previous 10,000 years. Our genetics are screaming for us to go back to basics, to eat good quality natural products as close to their whole form as possible. With so many cells in our bodies being made up of saturated fat, it’s not surprising that coconut oil is instantly recognised and used up by the body. Nothing is more stable for the body than fat. This good quality saturated fat will not make you fat! Sugars play that role beautifully, if you’re wanting such results. With the dry weight of our brains being made up of 60-80% fat, half of which is saturated fat, it’s no wonder low-fat diets turn people into depressed, anxious, exhausted & angry animals! The fat in coconut oil will not only help sharpen your mind & cognitive functions but also assist in stabilising your mood. The fat from coconut oil helps reduce calcium deposits in the arteries and protects the heart. It is the most preferred source of energy for the heart muscle. The fat from coconut oil is immediately recognised by the liver and therefore used up straight away, aiding in vital processes such as balancing lipid levels in the blood, and protecting against damage to the liver by alcohol and other toxins. In turn it also supports kidney and gall bladder function. In the Pacific Islands, farmers failed in their attempt to fatten their pigs by feeding them coconut oil. The coconut oil increased metabolism, allowing the pigs to burn more energy that actually helped them lose weight! So for those who crave sugar for energy, struggle with diabetes-related issues or are struggling with stubborn belly fat, coconut oil is a great source of instant energy that also helps to balance blood sugar and insulin control. If you suffer from any imbalanced gut flora issues like candida, thrush, abnormal parasites or fungal rashes, the lauric acid in coconut oil (eaten or applied topically) has antiviral, antibacterial and anti-fungal properties to help balance out these baddies. Lauric acid, of course, is the naturally occurring infection fighter in human breast milk. I was also amazed to learn that coconut oil works wonders for your teeth and bones, especially as it encourages mineral absorption. Go on – chuck out your chemical-laden toothpaste and brush your teeth with this instead! 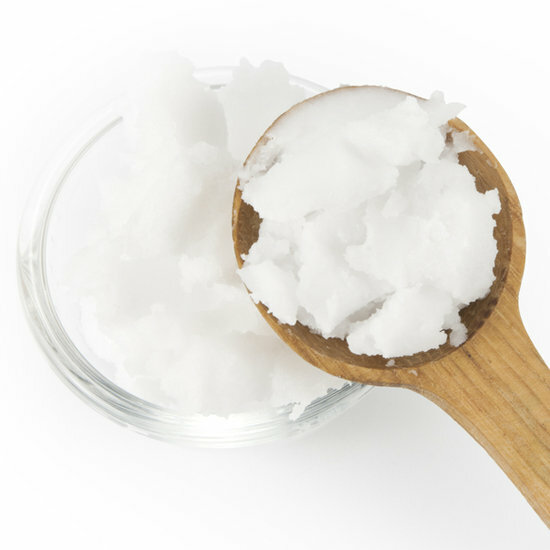 Like butter, animal fats and lard, coconut oil is not altered when heated. This means it is a great choice for any type of cooking, frying or baking. Unfortunately the compounds in plant oils are so precious they are immediately altered and destroyed when heated. Heating olive oil for example destroys its vitamin E, beta carotene and chlorophyll and changes its unsaturated fatty acids into harmful trans-fatty acids – essentially making it toxic to our bodies and increasing the likelihood of it being stored as fat. In short – save your (cold-pressed, unrefined) plant oils for things like dips and dressings, and use your coconut oil whenever there’s heat involved! HOW? Straight on a spoon, in your black unsweetened coffee, in smoothies, in coconut milk hot chocolates, in biscuits & loaves, in scrambled eggs, in fried veges, in vege mash, in crispy chicken thighs, massaged into your skin (great for foot-rubs)… the list goes on!